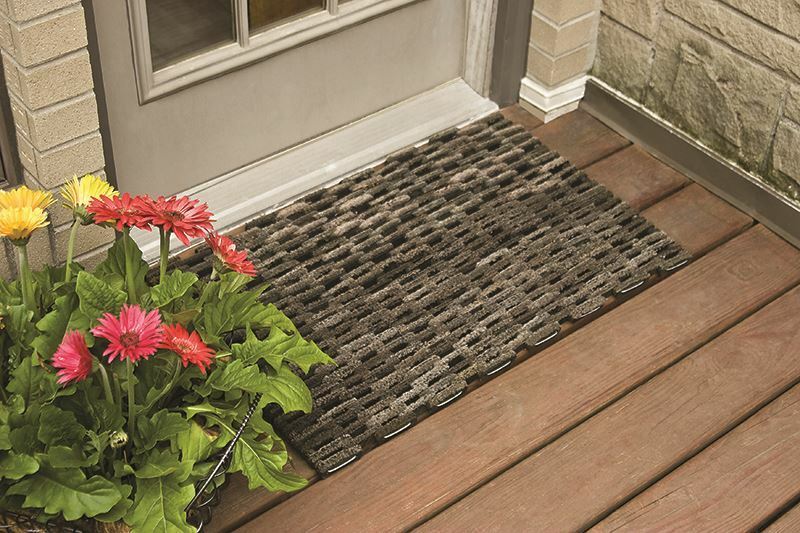 A heavy-duty, Dura-Rug recycled rubber door mat with an open surface to absorb moisture and trap dirt. 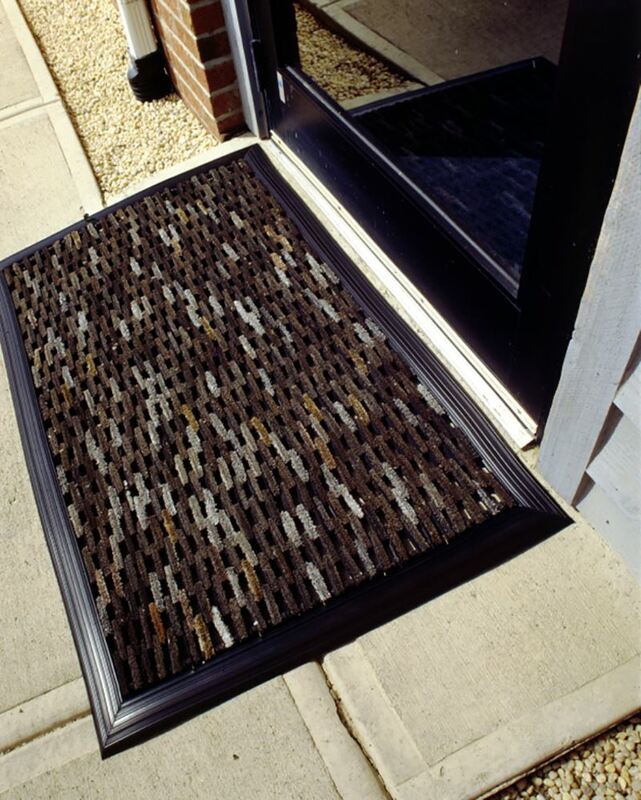 Carpet-like nap and open mesh construction absorb moisture and trap dirt from foot traffic. Add bevel or square nosing to guarantee exact sizes. Mats over 12' in length we recommend sectionalizing. Tire link mat maximum width is 8'. On widths of 7' and lengths of 25' or more a 10% handling charge is applied. Pile top rubberized fabric links from recycled bias ply tires woven on galvanized steel rods. Please call 1-800-810-7847 or e-mail service@commercialmatsandrubber.com for nosing options and pricing! Custom tire link mat sizes available. Material: Pile top rubberized fabric links from recycled tries woven on galvanized steel rods. Nosing: (Optional) Beveled (BN), Square (SN), or a combination of both.